Dust Mite Allergy: How to Get Rid of it Fast? If you thought spiders were a nuisance, wait till you meet their little cousins: the dust mites! They are small creatures that are very closely related to spiders. These little bugs live inside of many houses and go unnoticed most of the time. They tend to inhabit the dusty corners of the house where all of the dust seems to collect up together (that’s where they get their name from). These dust mites feed off the dead human skin cells that end up with all of the dust in the corners of the house. Dust mites love hot and moist climate conditions, and that is where they survive and thrive the most. The allergy to dust mites is more of an allergy to their excrements that get left behind in the dust which inhabits. Once there is any draft in the room with the dust mites, all the dust gets moved around and so does the dust mite excrement along with it. Once all of these allergens are up in the air, it is inevitable that someone is going to breathe them in almost immediately. Breathing the dust mite, it can send your body into chaos and cause an allergic reaction. An allergic reaction happens when your body detects a foreign substance that is non-malicious but triggers a reaction that is usually reserved for malicious substances. The things that set off this triggering allergic response in a person’s body are known as allergens. There are several different kinds of non-malicious allergens and the most common ones include pollen and different kinds of food products. For those who are allergic to dust mites, their excrement in the dust are the allergens. These excrements can either be composed of their feces or their dead bodies. Most people have the misconception that they can only be found in unclean houses with a lot of dust accumulation. However, there are many clean and seemingly spotless houses that also have a lot of dust mites inhabiting them. This is because dust mites are extremely resilient and can take up residence almost anywhere so long as the temperature conditions are favorable for them to colonize, such as with heat and humidity. The most common places where they are to be found, even within a clean household, are places with bedding. So the bedroom or any room that has a lot of sheets, carpets, and drapery is an ideal environment for dust mites to be found within. The reason why these places are the most likely to be targeted is the same reason why dust mites prefer hot and humid spots. Layers of fabric such as bed sheets, drapes and curtains, tablecloths and other such things tend to trap moisture and dust within them. This excess moisture leads the way for dust mites to thrive and multiply in. So all the solutions that are usually used for dust mite eradication also involve these core causes of their infestation. These symptoms can range anywhere from being mild, to moderate to even very severe. The mild and moderate symptoms can most often be managed easily with over the counter medicines and home remedies. However, the severe symptoms can be deadly and require immediate medical attention. The symptoms produced by an allergic reaction to anything, especially dust mites, can often be very difficult. 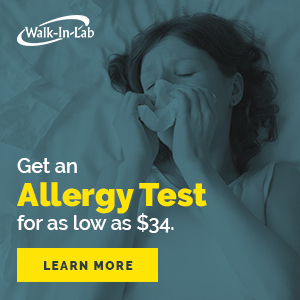 Since they cause chaos in your entire immune system, the symptoms also stem from bodily reactions that are naturally designed to eliminate the cause of the allergen from your body immediately. In the cases of severe allergic attacks, these symptoms can prove fatal and in cases like that the person suffering needs immediate medical attention. However, even the mild to moderate symptoms need to be taken care of. The best medicine for treating allergic reactions is the antihistamines. Antihistamines help to relieve the itching, sneezing and running that your nose may be experiencing. Nasal sprays are also very beneficial in reducing nasal symptoms of discomfort from allergy. Decongestants are another medication that helps soothe your breathing passages during an allergic reaction. You can even get immunotherapy for a more long-term, effective treatment for your allergies. Although it is always good to know what kind of treatments you have as an option, it is also a bit counterproductive to focus on treatments simply. When you focus on the symptoms and just their treatment, you are only tackling the surface of the problem instead of facing the causes of it head-on. The best method for keeping yourself free of dust mites and the allergies they cause is to not only keep them away from your home but to keep them from reappearing again. This is where the words prevention is better than cure have never been truer. Here are some handy techniques that help you to not only prevent them from your home but also to keep them from ever reappearing or intensifying their infestation. There is a large dearth of products available in the markets that are ideal for not only getting rid of a dust mite infestation but also for keeping them from reappearing again. The major cause is because they have ample room to hide within in your bedding and drapery. Here they find not only a lot of room to infest and spread in, but they also find plenty of food in the form of dead skin cells that collect into all that bedding. Luckily, this is a problem that can very easily be solved. To get rid of them from your bedding you have to remove all of the sheets and give them a thorough wash in nice and hot water. The wash will get rid of most, if not all, of your dust mites; however, this is not where the story ends. If you want to never see them again, then you will have to take further preventative measures. There is a large variety of hypoallergenic bedding covers available on the market that can prevent the re-infestation. These covers come with fabric that has a very tight and sealed weave and stitching which leaves no room for any dust to a collector for the dust mites to hide in. It is a better idea to go for the bedding covers that come with tightly sealed zippers on them which will make it very difficult any dust to penetrate inside and create a hospitable environment. Then there are also specially formulated sprays and powders that you can apply to the affected areas to kill the mites. Regular application of these products will help you permanently get rid of, and prevent a dust mite infestation. Similarly, there a lot of specially formulated detergents as well that you can wash your clothing and bedding to remove their favorable conditions. Last, but not the least, it is very important to keep the entire house clean and free of any kind of dust or allergens You can do this by using regular vacuum cleaners, however, HEPA filter vacuum cleaners are the best at tackling this task. These vacuums come with a special filter that not only cleans out the smallest amount of dust left behind but also filters the air to make sure no harmful residue is left over to trigger an allergic reaction. Since the very reason dust mites thrive so much in the first place is because of favorable weather conditions such as heat and humidity, it is best to tackle these issues at their core to get rid of them. To get the heat under control and make the temperature of the house cooler relative to the outside weather, you will have to utilize an air conditioner. As far as the humidity is concerned, you can use an air dehumidifier to bring down the level of moisture that is in the air. There are even specifically designed air humidifiers that are made for people who are vulnerable to allergic reactions. The bonus combination of both the cooling of the air from the air conditioning, as well the reduction of moisture in the air with the dehumidifier is going to attack them from all sides and help eliminate and prevent them. This is one of the most crucial steps that you have to keep in mind when tackling a dust mite problem. Dust mites are very sneaky little creatures, and they love hiding in the smallest and most obscure parts of the house. Because of this, it is essential that there are no such places in your house that encourage them to take up residence and reproduce there. For this, you will have to expose all the possible hiding spots that could exist in your home for dust mites to hang in. The major step that you need to take is getting rid of any and all extra clutter and stored up things that could be potential hiding spots. As much as you may love them, curtains, cushions and all other kinds of upholstery items tend to collect the most amounts of dust mites. Which leaves you with two options: either you clean out all of these cases and cover us in specially formulated detergents and some hot water. Or you have the second option of throwing all of your upholstery items to the extent that is possible. If you have a very severe and persistence condition, then this option would be the most suitable and yield the best kind of results. However, if the condition is mild to moderate, then you can get things like hypoallergenic cushions cases and hypoallergenic upholstery as well. Although these things may not kill them entirely, however, they will stop them from getting too cozy with your bedding. Carpets are a menace when it comes to collecting up a lot of dust and dirt. No matter how often or how meticulously clean out your carpet, there always is some dust left in there somehow one way or the other. Even after constant vacuuming, the carpet remains the same and is a more than ideal breeding ground for their hoards. The best way to address this problem would be to replace the entire carpets altogether. Carpets may provide some comfort; however, the cons of having carpeted floors during a dust mite infestation are far more numerous than the pros of it. This is why you should consider having hard floorings like wood or tiles which does not encourage as much dust accumulation and moisture absorption.